Home > News > What are the hot new destinations this winter for Chinese? What are the hot new destinations this winter for Chinese? 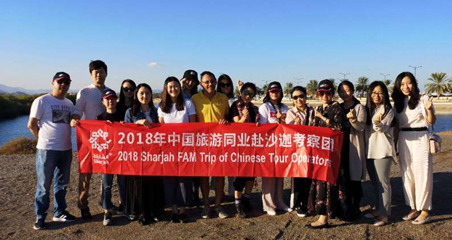 The new routes serve many of the rapidly growing cities across Central and Southern China and tap into the rising middle-class demand for vacations overseas. The question really is what are the HOT new destinations this winter, with an emphasis on ‘hot’. 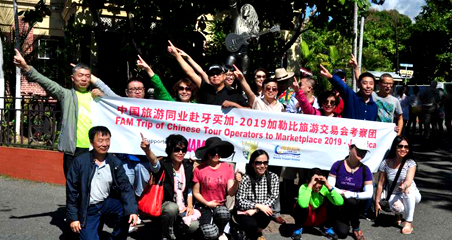 OAG has looked at the Top 10 new international routes this winter, compared to last winter, and nine of the Top 10 are to the sunny getaway destinations in South East Asia – Cambodia, Thailand, Vietnam and Singapore. These new routes serve many of the rapidly growing cities across Central and Southern China and tap in to the rising middle class demand for vacations overseas. Clearly a rising star, Sihanoukville (KOS) in Cambodia gained new services from Guangzhou (CAN), Fuzhou (FOC) and Chongqing (CKG). Famous for its beaches, airlines are hoping that they can attract Chinese tourist to visit to this Cambodian idyll. Each of these routes has been started with five or six flights each week, which is typical for a new route of this distance and provides plenty of choice for travellers about when to go. 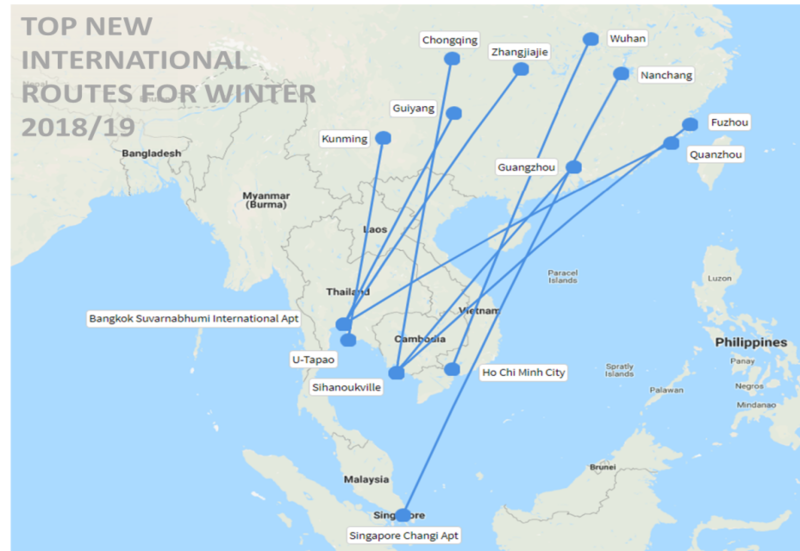 Bangkok (BKK) also won three new Winter operations with being these from Zhangiajie (DYG), Guiyang (KWE) and Quanzhou (JJN). U-Tapao, a little south of Bangkok, also won a brand new service from Kunming. The two other new flights to South East Asia are from Nanchang (KHN) to Singapore (SIN), and from Wuhan (WUH) to Ho Chi Minh City (SGN) in Vietnam. The only brand new route for this winter which isn’t going to South East Asia is the new Delta operation between Shanghai (PVG) and Atlanta. This route, operated mostly with six frequencies each week, connects China’s second biggest airport with America’s biggest airport. Internationally, airlines have added an extra 173 new international routes this Winter but have also dropped 166 routes. With 1,152 international routes being flown altogether, this means that around 30% of all international routes from China are either gaining or losing service this winter. Mostly these are routes with low levels of airline operations and is a sure sign that the airlines are still trying to figure out where Chinese travellers want to fly. Overall, airlines are operating more than 17,000 flights abroad than they did last winter, with South Korea, Japan, Cambodia and Indonesia accounting for precisely half the extra flights. The opportunities for those seeking adventure have never been greater. 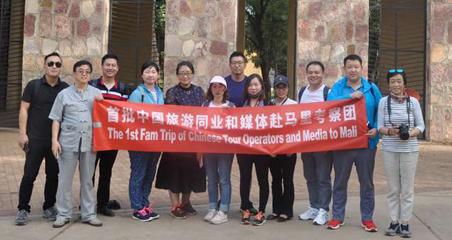 Previous: How's the Africa Tourism in Chinese Market?